Pizza rolls, beards, and free throws are this mans calling. James Harden had another monster night as Houston left Phoenix with a big conference victory. Beard put on a masterful performance with his second straight 40 point game coming on 13 of 23 shooting and taking a usual 14 trips to the foul line making 11 of them. Scoring wasn’t the whole story. At all. 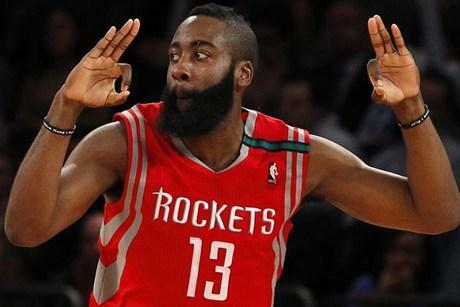 Harden grabbed 12 rebounds, dished out 9 assists and chipped in defensively nabbing 3 steals. In other words, this was one of the best performances anyone’s had all season. Lets not forget beard is in the middle of an MVP race and doing that without his partner in crime, Dwight Howard still out with a right injury and isn’t slated to return for quite some time. Steph, Beard, Bron, and Brow are all in contention for the Most Valuable Player award. Performances like James Harden had tonight, helps his case tremendously.